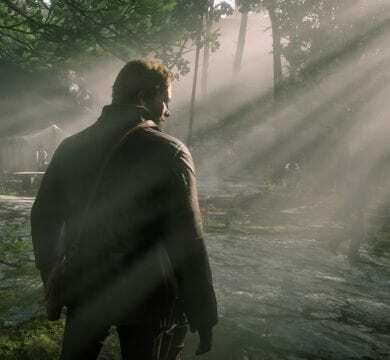 Red Dead Redemption 2's Arthur Morgan takes in the sunshine. 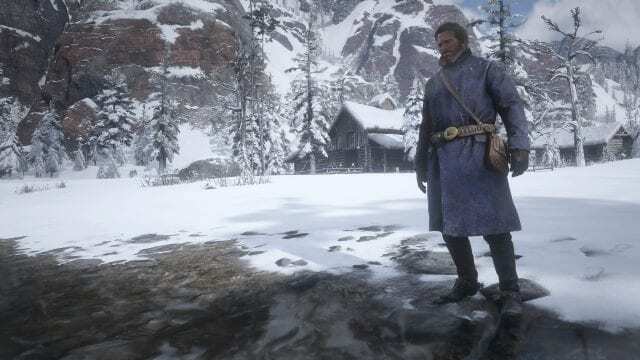 Arthur Morgan keeps warm in the snow in Red Dead Redemption 2. Light shines down on Arthur Morgan near river. Rockstar Games’ Red Dead Redemption 2 lives up to the hype by being a near-perfect game that allows the player to explore an amazing world, experience an in-depth story and have access to endless customization. Initially, the first striking feature of this masterpiece is the incredible visuals. Even on a console, the graphics for this game are above anything I have seen before, and the attention to detail with small features, like hair, snow and leaves, were done with the utmost care. 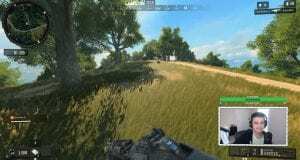 The graphics are even more astounding when you consider the vastness of the map and the many different types of environments. Players will encounter snow-covered mountains, deserts, marshes, plains and cities which all have their own unique visuals and sounds. 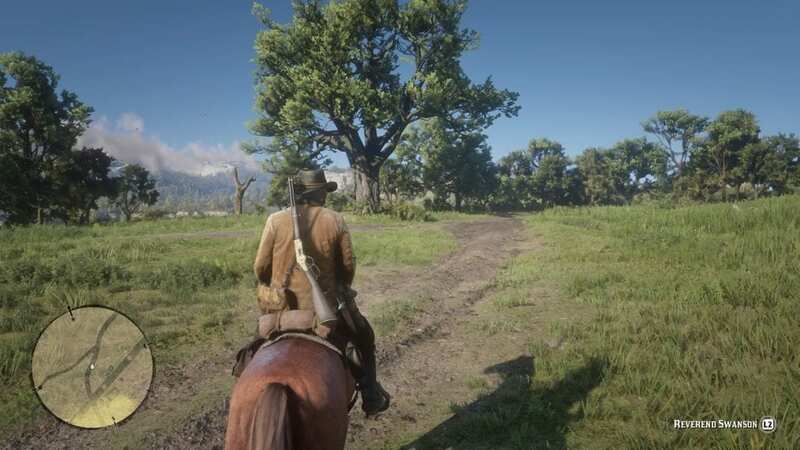 With the grand scale of the game, there are many times where the player is alone out in the wilderness or just riding through with very few passersby. 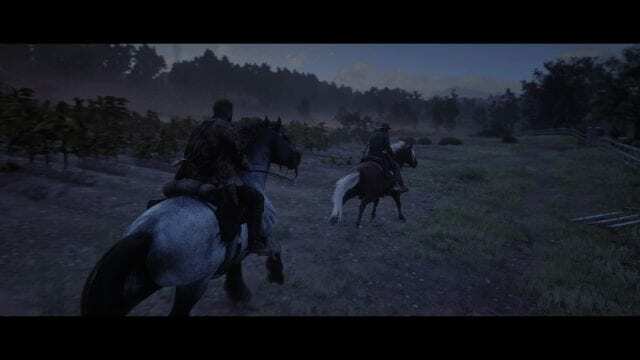 The seclusion of riding long distances or setting up camp with just you and your horse were some of my favorite parts of the game and really lets the player take in the world. Rockstar also included an option to experience almost anything in a cinematic mode. This mode was a nice touch in adding character to the world and making those classic Western moments feel even more alive. “Red Dead Redemption 2” offers a living, breathing world and society with nature playing its role while the player must also navigate budding civilization. Any person can be interacted with through friendliness, antagonistic behavior or even hostility to make a few extra dollars. 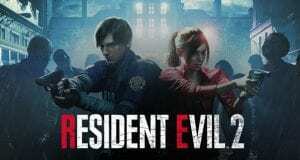 Random strangers and spontaneous events take place throughout the game and in all kinds of places in the world. Deciding to either help or harm the strangers will affect your overall honor in the game which dictates how people treat you. Hunting and fishing are also large parts of the game to help make money, craft outfits and upgrade equipment. These aspects are also vital in maintaining health, stamina and dead eye — an ability that allows you to fight enemies in slow motion — levels as well as your horse’s stamina and health. The game also has an incredible amount of customization options. Players can customize outfits, horses, horse gear, hairstyles, facial hair, weapons and weapon designs. All of these can be customized to minute detail that allow the player to make it their own. 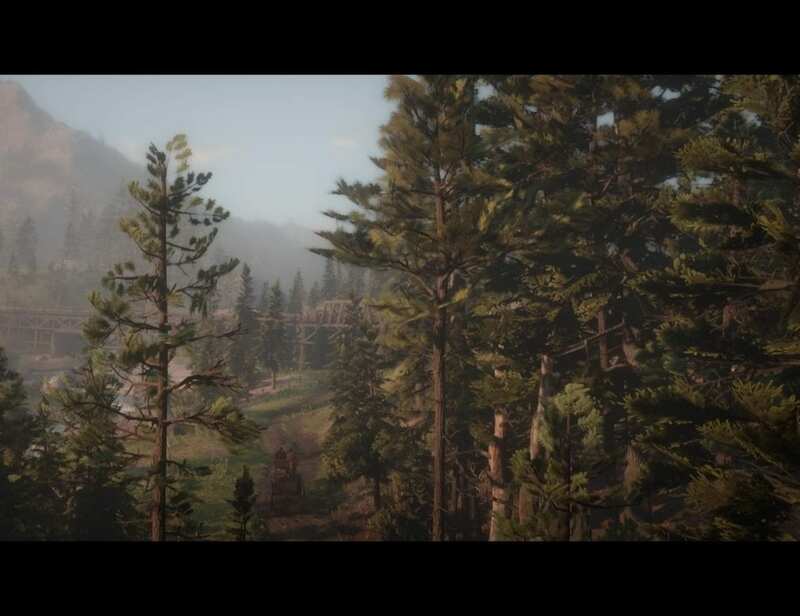 At first, all of the customization and upkeep of aspects like maintaining weapons, caring for horses and upgrading your camp and equipment all while trying to complete missions might seem tedious and overwhelming, but as the game progresses it is easy to lose yourself in the immersion of “Red Dead Redemption 2,” and enhances the experience. The game’s story follows Arthur Morgan and his role in the Dutch Van Der Linde gang and is a prequel to Rockstar’s “Red Dead Redemption” from 2010. Arthur is an amazing main character that struggles with his own identity and is extremely dynamic over the nearly sixty hours of gameplay. Although, each player will certainly have their own Arthur depending on the choices they make. The writing and development for every character is fantastic and the player gets to learn about each individual member of the gang. 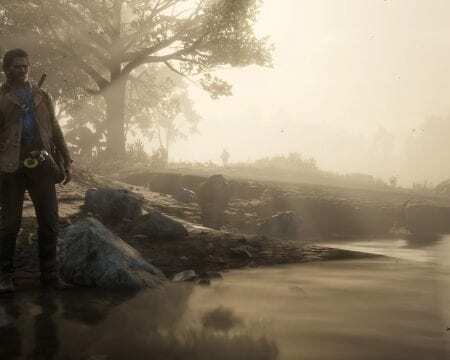 Each member is also extremely well acted and motion captured, which again highlights the extreme attention to detail Rockstar gave this game, and makes everything more realistic. I loved the flow between storylines and think each chapter of the game had its own enclosed narrative that was encompassed by the overall throughline of the game. In my opinion, the story rivals award-winning films and television shows and was a perfect lead up to the original game and succeeded as an information-rich, story-gap-filling prequel. Overall, I think “Red Dead Redemption 2” is the next step in video games as an entertainment platform and the clear frontrunner for game of the year. I loved it. Red Dead Redemption 2 is undoubtedly good but it’s not a pinnacle of gaming. It has a lot of problems from gameplay inconveniences to linear main story missions (you can’t get off an intended path otherwise game over). And it’s as cool as exhausting. That’s why after hours in RDR2 I spend some time in https://snailbob.io/snail-bob-5.html where I can relax a bit.